The Lemon Twigs recently released their sophomore album Go to School, and now the sibling two-piece have shared a video for LP cut "Never in My Arms, Always in My Heart." The clip was shot on Long Island, and it was directed by the band's Michael D'Addario, along with Winston H. Case. 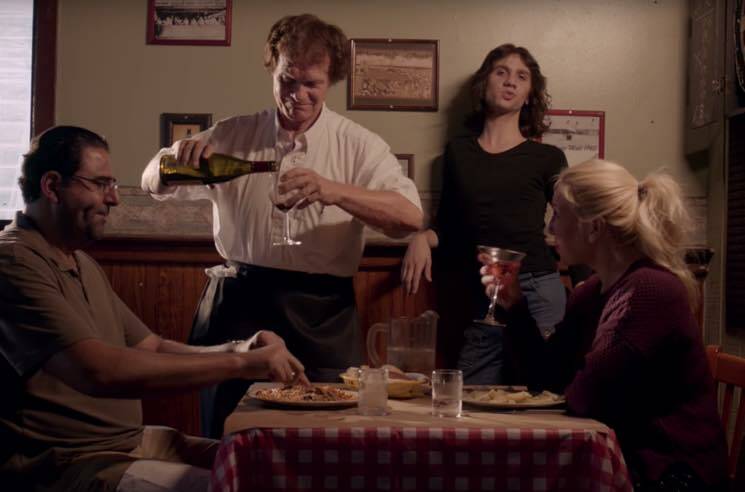 D'Addario also stars in the video, which takes place in a Hicksville bar, and it tells the story of a couple losing a child. In a statement, D'Addario explained, "Brian and I played in a lot of Long Island bars growing up, and man, we met a lot of people like this. Sometimes the Long Island mothers would gossip and you'd hear a sad story like this one, and somebody would end up with a tattoo that said 'Never in My Arms, Always in My Heart.' A weekend in Hicksville." As previously reported, the Lemon Twigs have a long list of upcoming North American tour dates, including some here in Canada. You can see the schedule here.